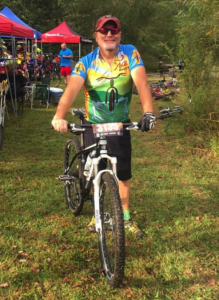 Neil’s love for mountain biking began in 2012 when, on a leap of faith, his wife gave him his first bike. He sleuthed out a trail and tried it out; he was instantly hooked and never looked back. 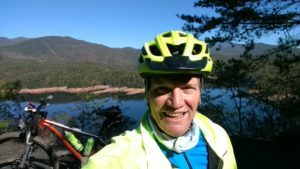 His work with the Sope Creek Composite Mountain Biking Team began in 2016. In 2017, he became a NICA level 3 certified coach. 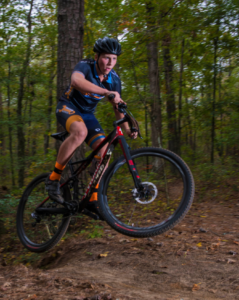 He also started mountain bike racing as a Cat 2 (sport) rider; taking a couple 3rd place finishes. Neil is also involved with the Boy Scouts of America as an Adult Leader. Outside of mountain biking, his hobbies include SCUBA diving, weightlifting and spending time with family. Neil holds a BA from Western Illinois University. He is a principal and senior consultant with Epic Brokers, based in California. I am currently 17. 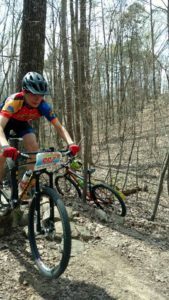 I’ve been riding mountain bikes for 5 years and have raced for the past 3 years. Riding started off as just a fun weekend thing, but seeing lap times slowly go down soon became the best part of riding. 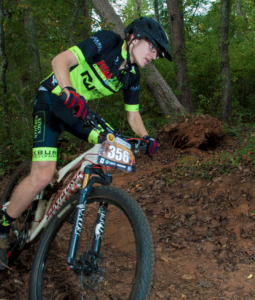 I began racing for Grayson Area MTB as a freshman in high school. 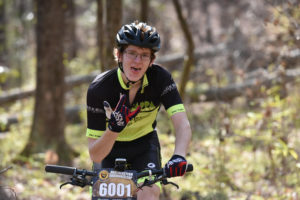 I have raced for Mill Creek MTB for the past two years. I also raced for Prima Tappa, and now on GTR. It seems that 3rd place has become my specialty, as I have managed to place 3rd in 11 out of my 27 races so far. Up until the end of 2017, I rode a 2013 Trek Stache 8. 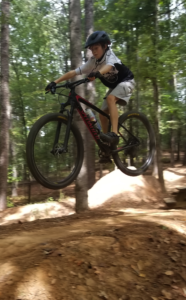 During the 2nd half of last year I was able to build a white carbon Santa Cruz Tallboy 2 from the frame up, and raced it all of last year, and will continue to race it through all this year. Mac is a beginner. Mac also plays football and basketball. I am currently 14 years old and will go to Buford High School as a freshman this fall. 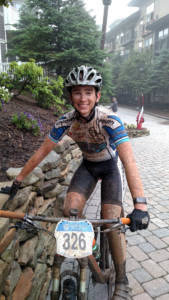 I started racing mountain bikes last fall, with NICA, as an 8th grader where I worked my way up to finish 9th overall. Although I also play lacrosse and run cross-country. I have decided to focus on mountain biking to continue to work my way up. I have been blessed with great coaches and teammates to continue to help grow my skills on the trails. I am 6’2” at 180 lbs and a junior at North Hall High School in Gainesville, GA. 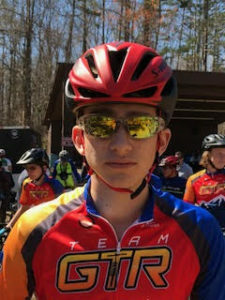 I am a 16 year old cat 2 rider who has only been riding & racing mountain bikes for three years now. I raced BMX for two years before that, but spent most of my time in youth sports like football, basketball, and soccer. My other interest consist of off-road MX which I enjoy and recently decided to sell my YZ 125 for my new Cannondale. Being from Tuscaloosa, Alabama I, of course, enjoy ALABAMA football and try to make a couple of games each year with my Mom and Dad, if I am not racing. I also enjoy Classic Cars, Hotrods & Muscle Cars and going to car shows where I can appreciate the craftsmanship of not only the restoration project, but also what the original designer did when creating the vehicle. As a race fan I enjoy all types of auto racing and I am fortunate enough to live close to Road Atlanta, Atlanta Dragstrip, and have seen a lot of races there and as well as Barbers in Birmingham, Talladega. This year I went to the INDY 500 in Indianapolis, IN. 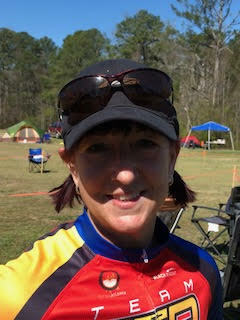 Race experience: 1 year racing, USA Cycling regional champion and 3rd place in Chainbusters 6hr 2-Man team SEC series. 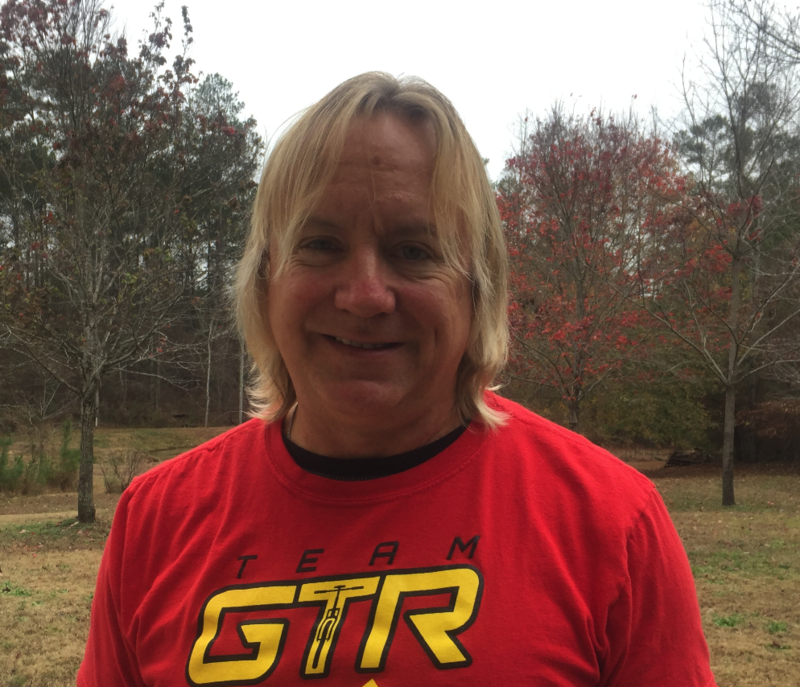 I'm originally from St. Louis, MO, but for the past 23 years I've lived in Georgia and currently live in Newnan, GA with my wife Tammy. 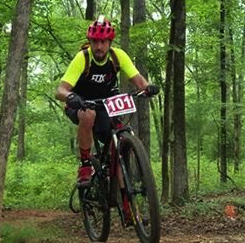 I've been mountain biking since the mid 1990s, but I have been racing for only 1 year. I've been on several podiums and have placed 2nd in the Chainbuster's SEC series in the 6-hour 2-Man team. 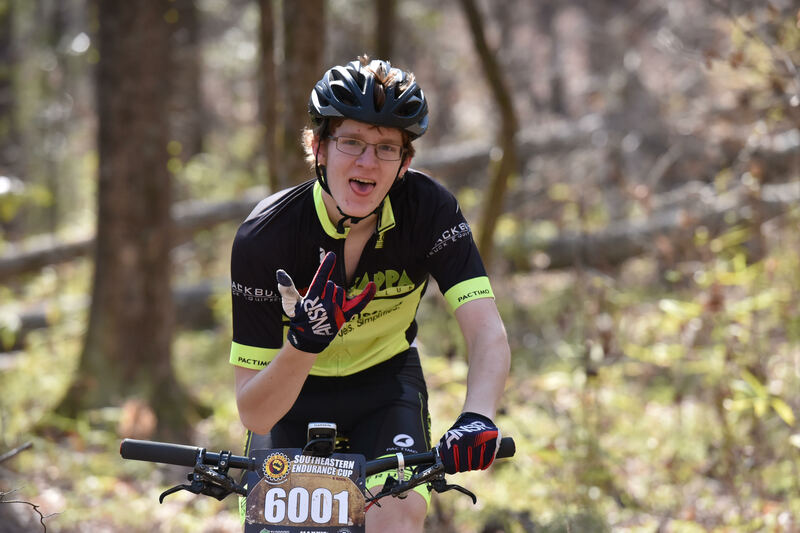 This year I also became one of the coaches for the Coweta Composite Mountain Bike Team, which is part of NICA/GICL. This has definitely been one of the highlights of my mountain biking experiences! I went to the University of Missouri where I got a degree in meteorology (don't hate), plus I also have a degree in Christian Counseling through Logos University. I've worked for the National Weather Service for the past 32 years with my most recent position at the Peachtree City, GA office. I am also a musician and have been playing the piano/keyboard since I was a kid. I've been in several bands and I have also done some studio work. My wife and I love to travel and experience new cultures. We've traveled to Germany and Switzerland, as well as to Guyana on a mission trip. I also have a Facebook page called "The Average Mountain Biker" so feel free to check it out and follow me! Hi, I'm Trella Lyons, also known as "Kytte". I am 55 years old, have lived around the Atlanta metro area since 1987 and currently reside in Sharpsburg. I have been an enthusiastic endurance athlete since 1988. 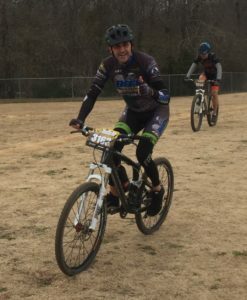 Road running lead to trail running, which eventually, (and due to numerous knee issues) lead to mountain biking in 2012.In 2013, I competed in my first trail duathlon, figuring if I screwed up the biking portion, I'd make up the time in the running portion. 🙂 Since then, I have participated in 21 additional mountain/gravel biking events, including nineteen races and two "recreational" rides (The "Ididride" in Florida, and the "Red Clay Ramble" in south Georgia). I have had a total of 14 podium finishes. I am a member of The South Side Cycling Club and ALP Cycles based out of Colorado and my coach is the wonderfully patient, Patricia Schwager. I’m a native Georgian and grew up in Griffin, Georgia on the Southside of the Atlanta Metro area. While attending college at the University of Georgia in 1987, I bought my first mountain bike, a Ross Mt Washington. Upon graduation, I spent a whopping $650 in 1990 (a lot of money for a bike then) on a Trek 950 Singletrack Mountain Bike. I became a member of NORBA(USA Cycling) in 1991 and raced competitively for several years placing second in my very first USA Cycling sanctioned race. 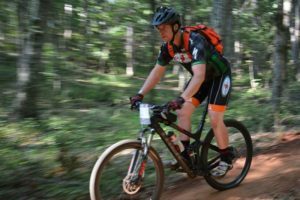 After a long layoff from mountain biking, I returned to the sport in 2014 and began racing again in 2017. 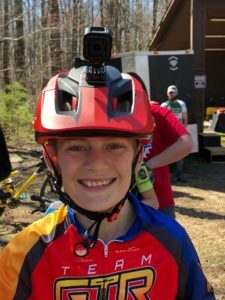 Upon completing the Gonuts Racing Series in 2017, I won a USA Cycling Regional Championship in my age group and category which included 2 first, 2 second, and 1 third place finish. I also began road cycling in the spring of 2016 and my total mountain/road bike miles are 5300 miles more or less. Along with his Dad, Adin received his first “real” mountain bike, a 26” GT Aggressor, on Christmas day 2015 (Mom didn’t want dad riding alone.) His first ride was three miles on a single-track loop, and he wasn’t ready to be done when Dad called the day over. 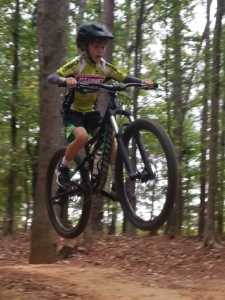 He rode as much as he could around the yard, and on trails that he built at home until his Mom saw the Facebook post about an info meeting for the local Georgia NICA league team. He started practicing three times a week with the team and more at home. He set his eye on being able to ride with the more experienced and faster kids, and made it his goal to ride with them. Having saved his money from selling a dirt bike that he had outgrown, he decided to invest every penny that he had saved into buying a bike that was more suited for competition. He entered his first race in September 2016. He started at the back of 44 riders and worked his way to 14th. 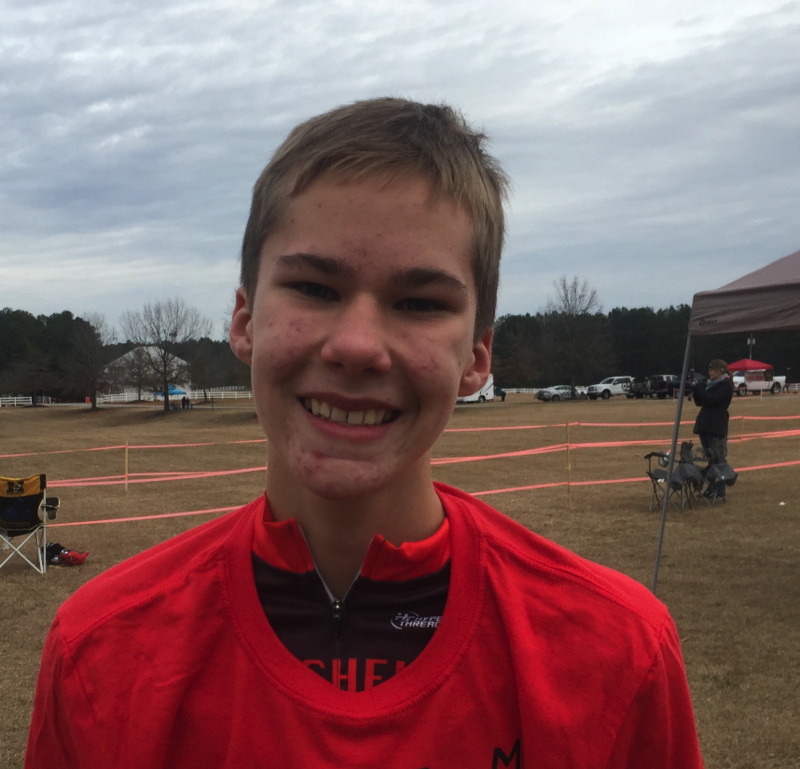 He continued to train hard, and eventually worked his way into three top 10 finishes out of five races. 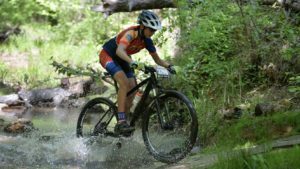 As the 2016 NICA season closed, Adin insisted on finding other races in the “off-season” to continue his progress as a racer. 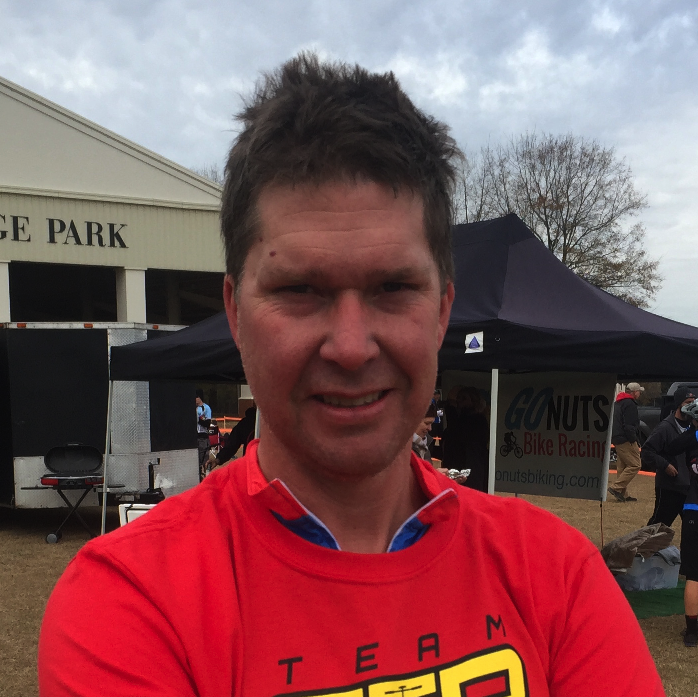 In February 2017, he started racing in the GO NUTS series, a USA Cycling regional series. Though the competition was stiff, he managed to win the regional championship and earn a call up at the USA Cycling Nationals in Snowshoe, WV. 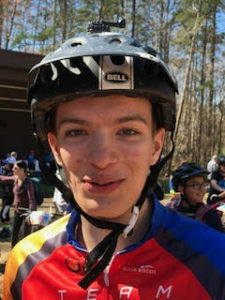 Mechanical issues kept him from having the race that he wanted for the National Championship race, but he finished the race walking the final lap with his bike) to a standing ovation and his head held high. Aside from the competition, Adin’s favorite thing about racing is the great friends that he has made along the way. 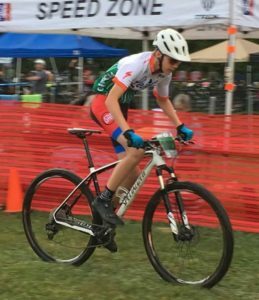 As 2017 closes, Adin has completed 22 races with 16 podium finishes as well as USA Cycling Regional championship and a state championship in the Georgia NICA league. of both the Beta Club and FFA Program. it) Schwinn Typhoon 26" single speed. In 1964 they sold for $40. In November 2015, after six months of health issues, Jason was diagnosed with Lyme disease. While he was happy to finally have some answers to his health questions, he was disappointed to learn that the chronic joint pain and exhaustion would change his exercise habits and virtually eliminate his pastime: basketball. 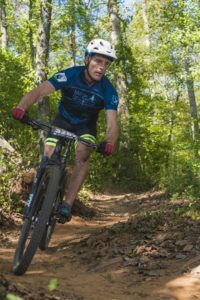 While on the hone with his older brother, a longtime time competitive cyclist and mountain biker, he mentioned his desire to get back in shape in spite of the health issues. That Christmas, a mountain bike arrived under the Christmas tree along with a “you now have no excuses” message. He ventured out occasionally on his bike with his son, Adin, for the next six months until a random Facebook post advertising an informational meeting for a local scholastic cycling league team for kids in 6-12 grades. Because Adin was extremely interested in the team, Jason signed up as a volunteer ride leader. 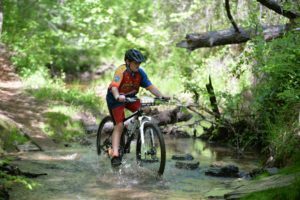 This was the first taste of competitive mountain biking for the Chandler family, and they were hooked. However, it was quickly learned that competing in races was more fun for Jason than just watching Adin compete. In January 2016, Jason entered his first race, a 6hr endurance that he completed alongside 2 other partners. It was an experience that he was ill prepared for but suffered through to completion. 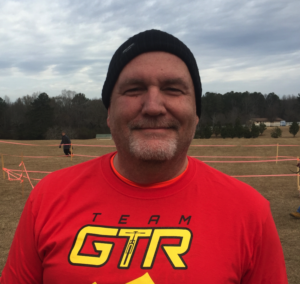 He started signing up for more races, and along the way, fell in love with the competition and community. 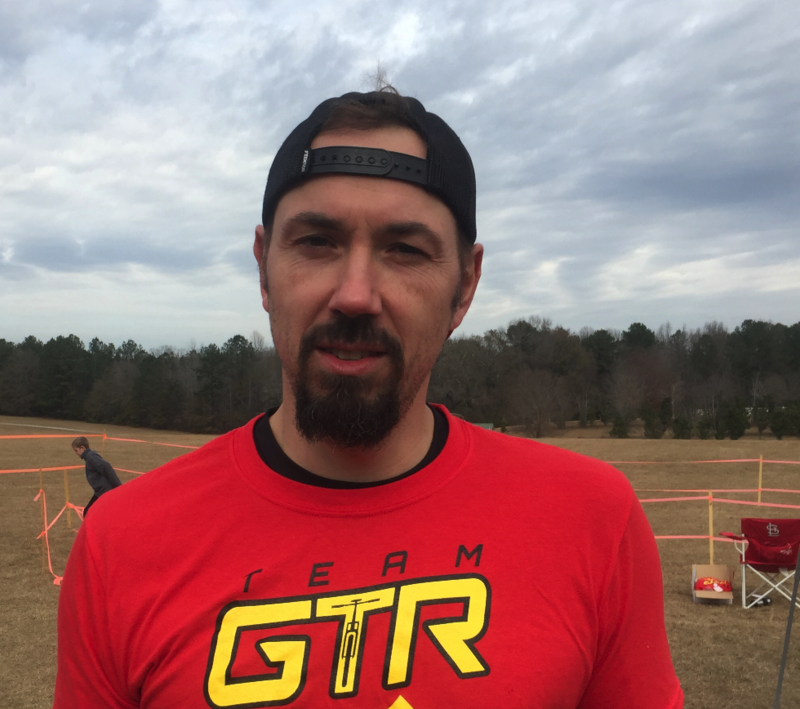 As 2017, his first year of racing, draws to a close, Jason has competed in 14 races with 10 podium finishes, including a Southeastern Endurance Series championship with the 3-man team that he started his first race with. 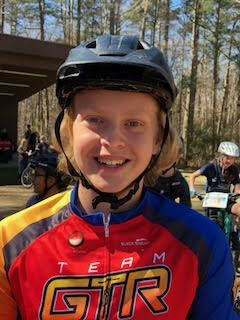 Rainer raced in the Georgia Interscholastic Cycling League in 2016 and 2017. He raced in all nine races and was on the podium for eight. In 2017, he also raced in some of the Chainbuster races and stood on the podium for three of them. 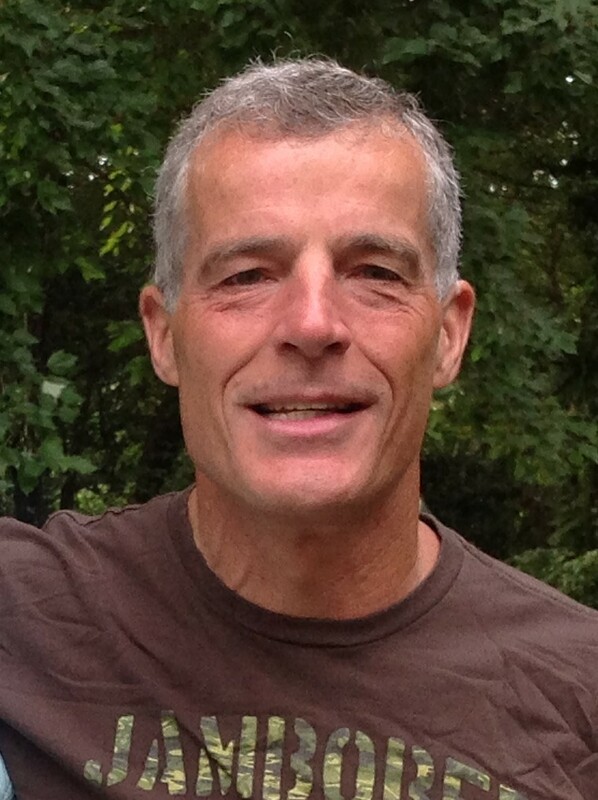 Rainer enjoys baseball, skiing, fishing, and anything that allows him to be active outdoors. 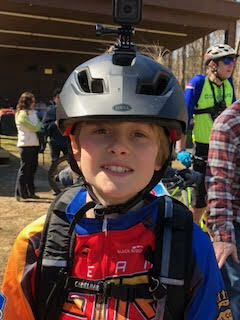 Jack Goggin started mountain biking at the age of 10. 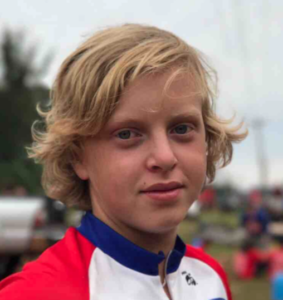 At the age 13, he joined the NICA Georgia chapter and started to race with the Sope Creek Composite Team lead by coach Jeff Hunt. 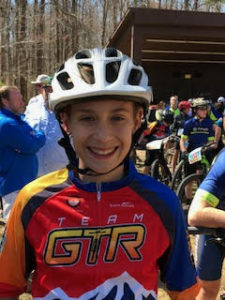 At his first race, Jack placed 4th in a field of 60+ racers. 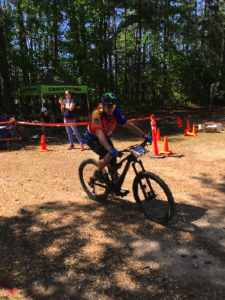 With practices 4 days a week at Sope Creek and other mountain biking trails throughout greater Atlanta Jack was able to hone his mountain bike racing skills and was able to podium at all 9 NICA races over the past two years. Jack credits most of his success to hard work and the incredible coaches who have instructed and guided him over the past two seasons. Carson is 13 and attends Madras Middle School in Newnan, Georgia. Carson enjoys all sports and is a big fan of the Atlanta Falcons, Georgia Bulldogs and Atlanta United Soccer team. 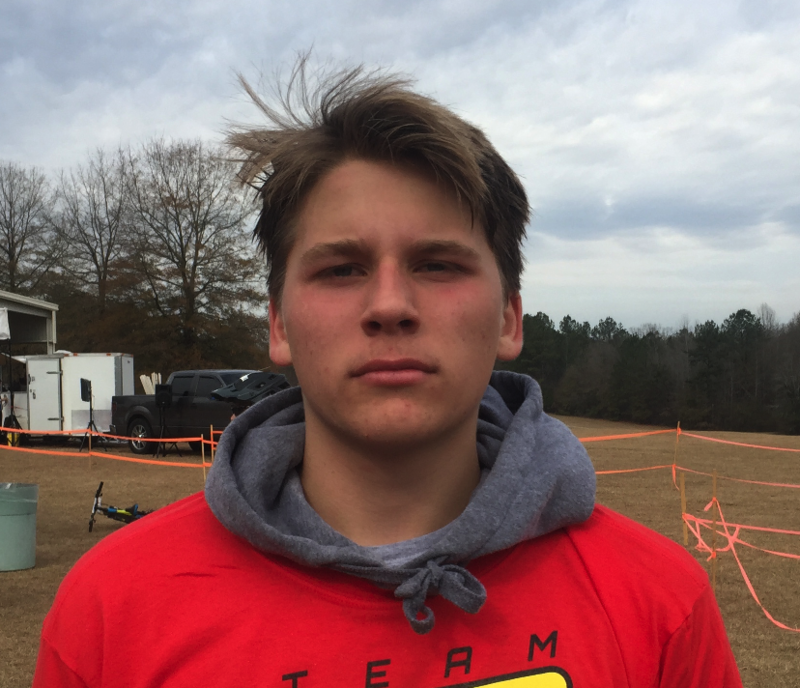 When Carson is not watching sports he enjoys mountain and road cycling and playing soccer and football. Carson played on the 2017 Madras Middle School Football Team which won the Coweta County Middle School Championship. Carson plans to play in the 8th grade as well in the fall of 2018. Carson won the star student award at Madras in 2017. The award is given to students who maintained an "A" average, perfect attendance for the entire year, and had no disciplinary issues. 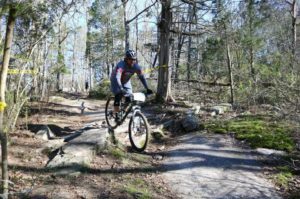 I started riding mountain bikes as a police officer for the Charleston County Aviation Authority in South Carolina. This led to me riding recreationally once I moved to the Atlanta area in 2002. In the past I have participated in 24/13/12/6 hour endurance races. These races have included 24 Hours of Adrenaline, Southern Lights, Bakers Dozen and Ride to Sunset. The trail systems consisted of Conyers, Heritage, Blankets Creek and Horn Creek area in South Carolina. Along with fellow rides, I try to take at least one mountain bike vacation a year. Most recently to Florida and Alabama trail systems. I have recently returned to competitive riding after a few years away. 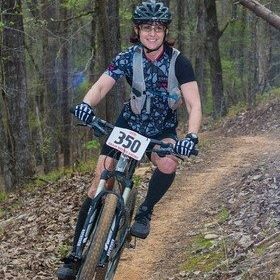 This year I competed in the Go Nuts Regional MTB series. Through seven races I had one DNF, two 3rd places, one 2nd place and one 1st place. I would also take 1st place overall in series points for the Clydesdale Division. Next year I intend to again race the Go Nuts series - defend the jersey, as well as add a few endurance races. Hello, my name is Josue Pino of VENEZUELAN nationality. I arrived 6 months ago to USA because of the situation my country is going through and I had 2 death threats because I did not want to support the current government. I had a sports scholarship for being part of mountain biking and volleyball of the national team and that's why they asked me to support them. I decide to leave my country and arrive here and ask for refuge. My whole family is here, some are recent and others have been here many years, and are residents and other citizens. I love mountain biking and contact with nature. I have more than 5 years practicing this sport that I love very much.